It doesn’t rain much in the desert but this winter has been exceptionally wet. 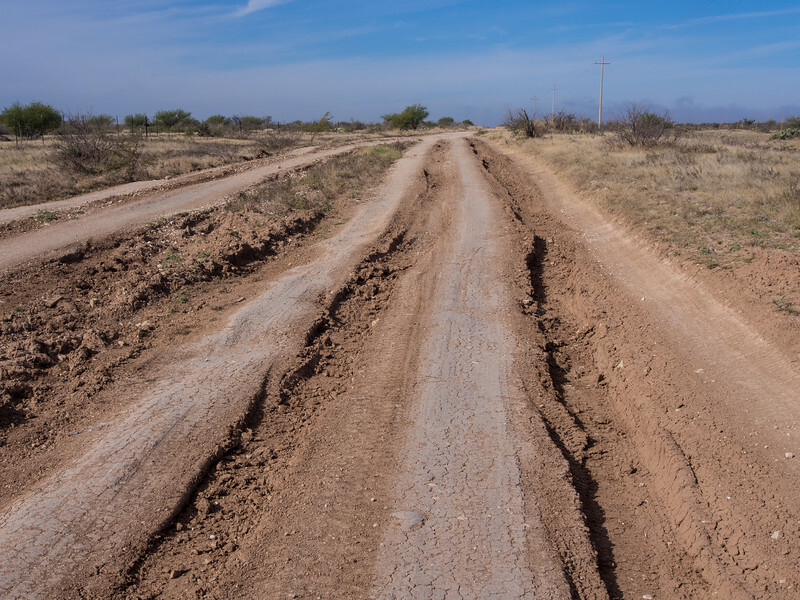 Even when wet, people still attempt to drive this road, leaving deep ruts everywhere. It was dry when we came through here, but the ruts remained, ready to cause a crash if we inadvertently dropped a tire into one.